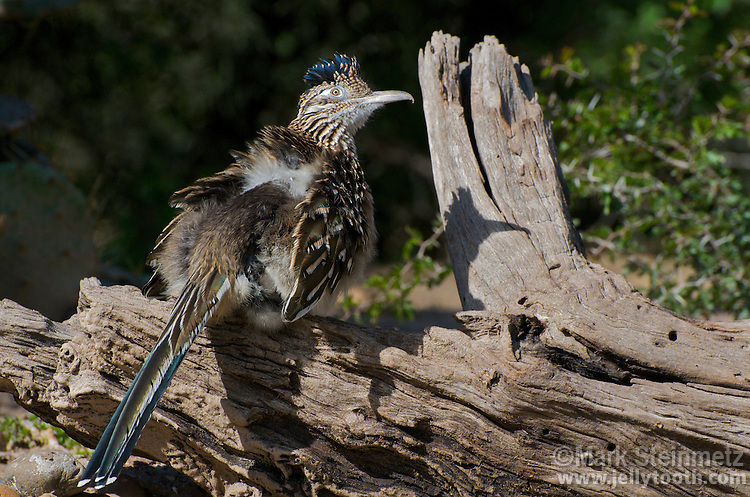 Greater Roadrunner (Geococcyx californianusz) sunbathing. To warm up after cold desert nights, Roadrunners orient their backs toward the sun, fluffing up their rear feathers exposing black skin and darker feathers in order to absorb more solar energy. Texas, USA.